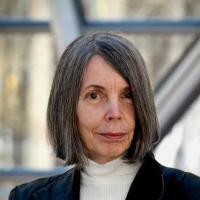 ANNABEL WHARTON, William B. Hamilton Professor of Art History, Duke University, and Vincent Scully Visiting Professor at the Yale School of Architecture in Fall, 2014, received her Ph.D. at the Courtauld Institute, London University. Initially her research focused on Late Ancient and Byzantine art and culture (Art of Empire [Penn State] and Refiguring the Post-Classical City [Cambridge]). Later she began to investigate the effects of modernity on ancient landscapes, first in Building the Cold War: Hilton International Hotels and Modern Architecture (Chicago, 2001) and then in Selling Jerusalem: Relics, Replicas, Theme Parks (Chicago, 2006). Her most recent book, Architectural Agents: The Delusional, Abusive, Addictive Lives of Buildings , will be published by Minnesota. It considers material and digital buildings as agents that both endure pain and inflict it. She has begun work on a new project treating the theory and practice of models, conceptual and material, analog and digital.